It always comes down to money. 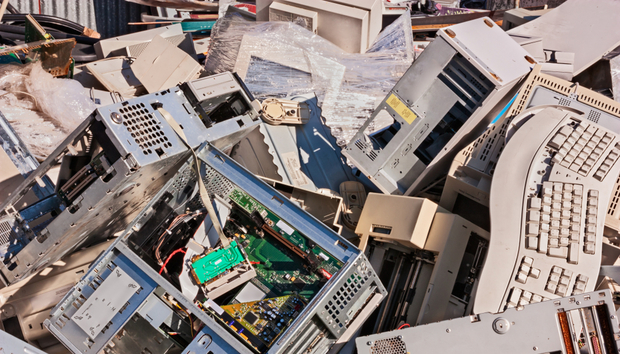 While recent e-waste figures suggest there is a lack of will among enterprises to manage the problem – total waste is expected to rise annually to 52.2 million metric tons by 2021 globally – the impending launch of new data protection regulations GDPR in Europe could change all that. GDPR for one has teeth. Severe financial penalties (up to €20m or 4 percent of turnover) will be imposed on non-complying businesses and that also means businesses that suffer data breaches. When you consider that UK telecoms and broadband provider TalkTalk was fined £400,000 and £100,000 for two separate data loss incidents, that puts it into perspective. As NCC Group pointed out last year, under GDPR, this could rise to over £50m. Given the amount of data swimming around on smartphones, tablets, laptops and hard drives, this is only going to get more difficult to manage, especially as these products reach the end of their lives. So this becomes an e-waste issue as much as it becomes a GDPR issue. According to research, only 20 percent of e-waste is ‘documented to be collected and properly recycled’ which means that 80 percent of waste could in theory be open to abuse. “By 2020, it is estimated that every individual will have a formidable digital shadow of about 2.5GB of personal data – the result of an ongoing ‘data exhaust’ pumped out from myriad sources,” says Nick Taylor, head of Accenture Security UK.